The success of the Honors College goes beyond having specialized Honors courses to take. It is a community, and one that relies on fostering and strengthening ties by positioning its students to lead. This is especially true for the student organizations housed within the Honors College. The Honors College is home to three student organizations: Honors Congress, Diversity in Honors, and Honors Serves. Honors Congress members are involved with community service projects, athletic events, intramural sports, and social events, such as movie nights, game nights, and a semi-formal. With a wide variety of leadership opportunities, Congress is a great way to start your involvement with on-campus activities. To join the Honors Congress there is a one-time membership fee of $40. For more information about the Honors Congress, please e-mail Stephen Lanzi, president. 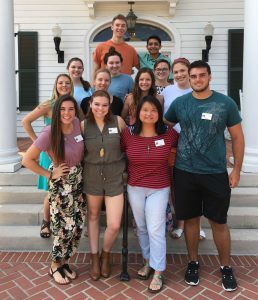 Diversity in Honors is an important organization within the Honors College aimed at supporting and enhancing the experiences of underrepresented and minority students. The organization combines professional development workshops, diversity forums, and social meetings throughout the semester. Members, including freshmen, are encouraged to participate in committees, run for an office, and vote in elections. Honors Serves offers a great opportunity for you to become involved in service within the community. 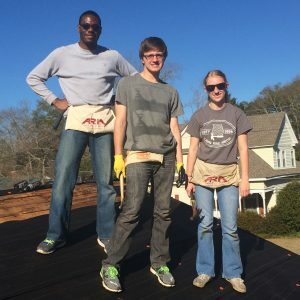 This organization is student-led and focuses on service through education. Honors Serves partners with local high schools and resource centers to develop study skills and preparation for the ACT and SAT tests while also providing opportunities to serve through tax preparation service, Merry Medical, Hospice Advantage, and Alabama Rural Ministry (i.e. housing/construction projects).